Our Plate Processing division is equipped with the latest profiling technology at our own ISO 9001 and CE Execution Class 4 accredited facility, allowing us to make anything from single part prototypes to sets of components for complex products. 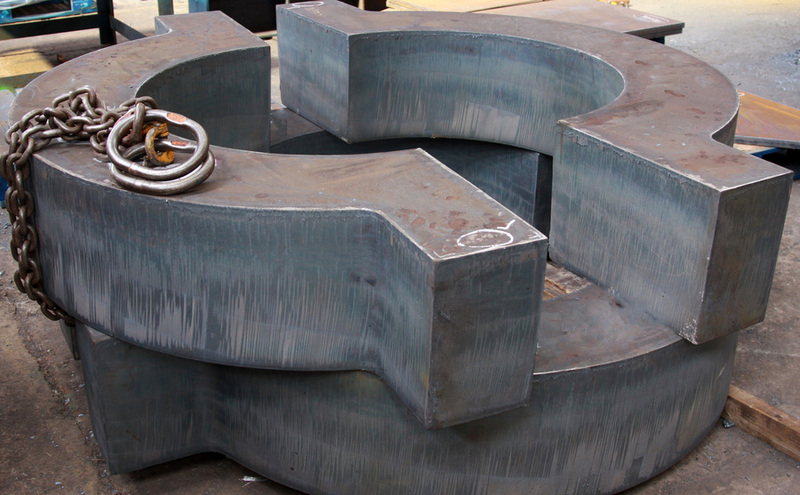 We can supply profiled plate in thicknesses of up to 400mm and our machinery is capable of cutting up to 24 metres in length and 5 metres wide, permitting us to produce large-scale components and finished products to your precise specifications. Items can also be supplied with drilled holes and slots, countersunk holes, bevels and chamfers, and plasma cut holes using True Hole technology, helping to reduce the amount of subsequent fabrication work required. Our set-up allows us to undertake regular production and supply items on a Just In Time basis, but we also have the capacity to complete ad hoc jobs to short lead times. Murray Steel Products offer a full design to delivery service, with the combination of experienced staff and state-of-the-art equipment meaning we can add value at every stage of the process from tender to contract completion. 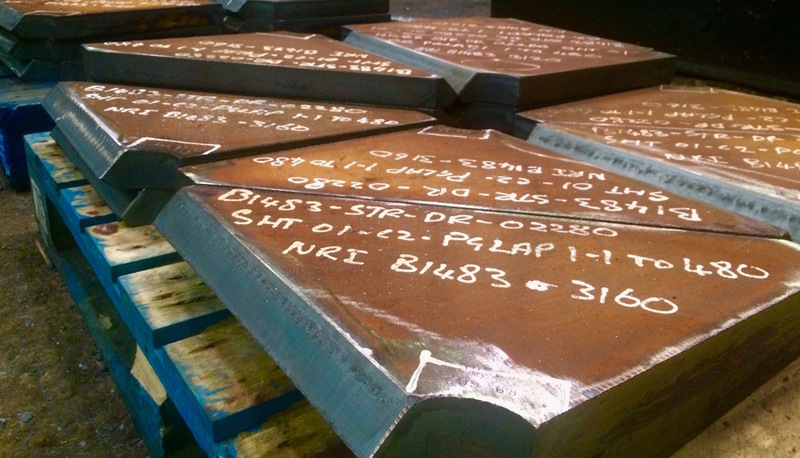 Our Plate division is one of the leading suppliers of certified steel plate in the UK and Ireland, meaning we can provide a wide range of carbon, structural, engineering, weathering, boilerplate and offshore grades for your project. Materials are available from stock for one-off jobs, while we also offer a full supply chain management service for ongoing requirements. The in-house Murray CAD team can translate complex designs into individual parts for cutting and profiling, ensuring that the final programs used for processing are highly accurate. Their in-depth knowledge of nesting will also deliver maximum plate yield, helping to reduce your costs. A nest drawing for steel profiling. This combination of access to a wide range of certified steel plate and the latest plate profiling technology means we can ensure that your components are produced using the most cost-effective route, while also maintaining the level of quality that your customers expect. And our ability to work to short lead times, coupled with the Murray Metals group’s established delivery network, means we can supply your products when you need them. We have experience of making a vast range of profiled products and regularly work with customers in the structural engineering, construction, energy, yellow goods, shipbuilding, offshore and general engineering sectors to produce bespoke products to their exact specifications. Our processing team have previously made everything from small industrial components to unique profiles for architectural sculptures and large profiled plates for the heavy engineering sector. 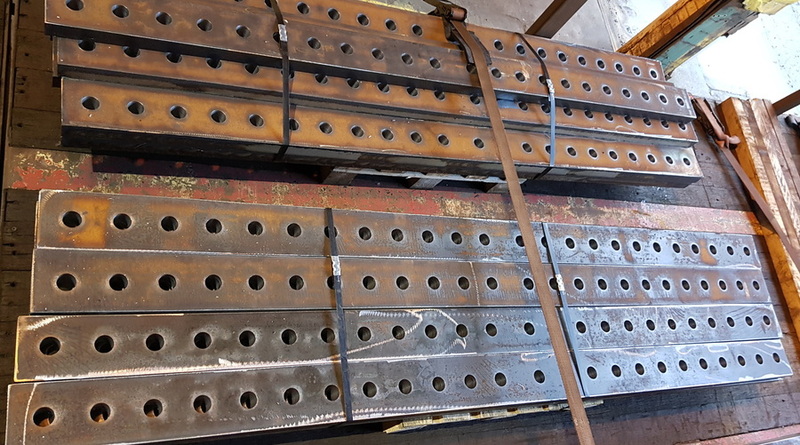 Contact us via the website or call us on 0114 250 3602 to request a quote or more information about our steel plate profiling and processing services.